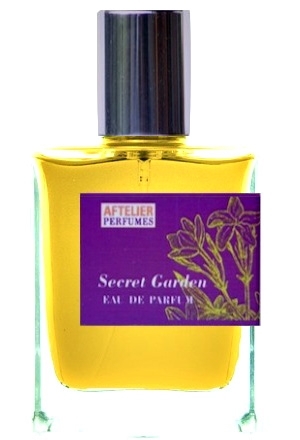 This entry was posted in Aftelier Perfumes, Fragrances, Orientals, Reviews En Bref and tagged Aftelier Perfumes, Aftelier Secret Garden Perfume Review, perfume review, Secret Garden, Secret Garden Eau de Parfum by Kafkaesque. Bookmark the permalink. Dear Kafka, it sounds like we had a similar experience with this. The EDP was a “one chance” trial for me and I set it aside for not being interesting enough for me to try twice (my usual “too many samples, not enough skin”). Since I never take notes when I test (it’s only for me after all…and ummm, for comments), my recollection of this was that it was sharply animalic with some flat flowery scent. This combination was unexpected, given my expectations that a garden should smell flowery, sweet with some earthy notes mixed in. Perhaps the name did not live up to what the perfume turned out to be. My tiny sample went to a new home in a swap last year. I’m relieved to know I wasn’t the only one who had a slightly different experience than that described by the blogosphere. I’m particularly glad to know that the florals were never dominant on you, too. But it doesn’t seem to be a question of the name and the name alone: other people seem to have experienced that lush garden. You and I just happen to be in the small minority for whom it never happened. Do you remember any powder? It sounds pretty disappointing, actually, and nothing like the book. 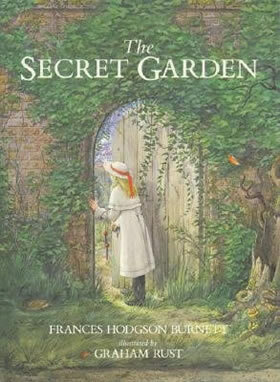 Was she simply going for generic “secret garden” or did she want people to think of the book? Well, judging by the blog posts, most people seem to have experienced the full garden. 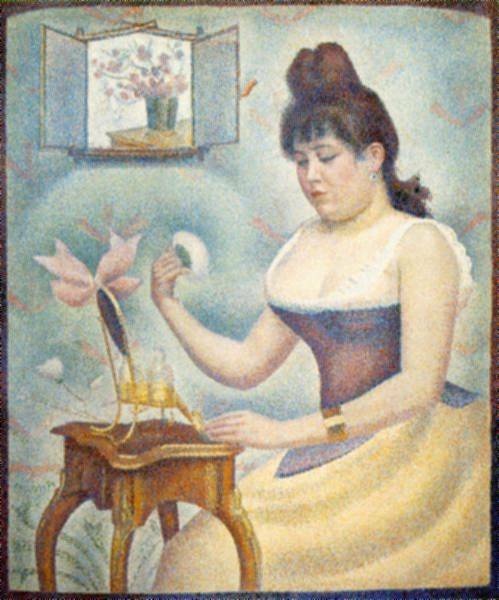 One found the scent evocative of the comfort of motherhood, but generally, most of them talk about the flowers. I don’t know if those who had a very different experience haven’t spoken up or if I’m in the small minority. What a disappointment after hearing so many good things. It’s sort of surprising to me the powder note is so prominent in a perfume with the name “garden” in it. I’d be curious to try it just to see where I fall between your reviews and the raves (or if I fall outside these margins). Prior to reading this review, this wasn’t one I’d ever really seek out to try, but somehow this review sort of makes me want to try it just to see how it smells. I’ve come around to accept some powder, but if it’s nearly as powdery on me as it was for you, I don’t think I’d like it. I have some affection for stereotypical “grandma” scents, though, so perhaps I’d surprise myself. Hi Sarah, welcome to the blog. I haven’t tried the line extensively at all, beyond Secret Garden and one of the perfume oils, so it was interesting to read your perceptions. You’re right that reviewers seem to love Afterlier products. It was hard to write this review because one wants to be supportive of small, artisanal or indie perfumers. The fragrance simply wasn’t for me and, if your experience with the other fragrances ends up being my experience, then I don’t think the others from the line will work for me either. I have a few samples, so we’ll see. Perhaps I’ll be lucky. 🙂 Thank you for stopping by and sharing your thoughts, Sarah! Thanks for your reply and your wonderful blog! After so much effusive praise of Miss Aftel, it must have been hard to write anything negative. But your article was respectful and fair, not malicious in any way. And your article was one of the very few places I found that gave an accurate description. I don’t think the other reviewers were wrong, they just had different tastes than I do. With my first batch of samples, I was convinced that I had been something completely different from what was being described and I couldn’t figure it out. Your article was a port in the storm of confusion! I did find that If I concentrated and truly deconstructed each perfume, yes, I could get most of the notes talked about; but I think perfume should be a joy that is experienced not an archeological dig for each element. I wrote my response late last night and reading it again, I didn’t realize I was being quite so harsh! I wonder, since she is dedicated to using only natural methods, if her perfumes aren’t more, unintentionally in line with being historically accurate reconstructions of the way scents were in the past. Perhaps smelling like super sweet candy and vanilla powder WAS all the rage in the 1724 because their methods couldn’t create anything else. I want to support indie perfumers too and feel a bit bad about what I wrote. Yet, even in the sober light of day, unfortunately it’s still true for me. And all that being said, I think her solid Jasmine is genuinely lovely and the pure clean Pear in her Rain bath oil is a bright delight. She does have a new line of edible scents for the cook, called Chef Essenses. I haven’t tried them yet but since they are, by definition, one pure edible scent, they may be excellent. When I try them, I will let you know. And by the way, your description of the “overwhelming powder” was spot on! 🙂 From what I have sampled, it is the strong bottom note in Haute Claire, Wild Roses, Tango and Honey Blossom. It will be interesting to see how she develops as a perfumer, perhaps her scents will evolve away from those powdery, sugary bases in time. I don’t think you were harsh so much as driven by disappointment, as well as by some frustration in wondering why you weren’t experiencing what so many others seemed to do. I had a similar reaction when I tested the perfume, but skin chemistry is wonky and really rules all. Plus, I do know that powdery scents aren’t my personal cup of tea. You must have a similar sort of skin, in addition to similar tastes. I truly wish I had experienced what others had done, but it was not to be.